If you’re in the market for a new home heating system, you should consider installing a geothermal heat pump. While it’s true that the initial financial investment can be steep, you may qualify for financial assistance and tax credits that can help defray the costs. Even if you don’t, your investment will pay for itself relatively quickly. In the meantime, a geothermal heat pump represents an energy efficient, ecologically responsible, renewable source of indoor temperature regulation. Our ancient human ancestors knew that by digging far enough beneath the surface, you could access a layer of sediment that maintains itself at a steady 50 degrees Fahrenheit. Geothermal energy heat pumps work by laying pipe work within this layer of sediment, then running water through the pipeline. The heated water is then run into your home, where it is used for indoor heating and to provide hot water for washing and cooking. The initial financing of an entire geothermal heat system can be pricey, possibly in excess of $20,000, depending on the amount of pipe that must be laid underground. The process becomes even more expensive if pipes must be dug vertically within a small lot rather than laid horizontally in a large lot. The cost can be reduced somewhat by connecting to an air duct system rather than running the heated water through a series of radiators or through a baseboard heat vent system. Some forward thinking utility companies will help you finance the installation of a geothermal heat pump system with low interest loans. However, in the United States, homeowners can receive a tax credit of up to $300 for geothermal systems installed before December 31, 2013. The system must be installed in the taxpayer’s primary residence to qualify. In Canada, homeowners can receive a generous federal grant of up to $3,500 for retrofitting an existing home with a geothermal heat pump system. Even beyond tax credits, low cost loans and grants, installing a geothermal heat system, either in new construction or as a retrofitted heating system in an existing home, can translate into significant savings immediately. Depending on the costs of excavation, your home’s installation value, the skill of the contractor who installs the heat pump and other factors, you may recoup the cost of installing a geothermal heat pump in just five to seven years. 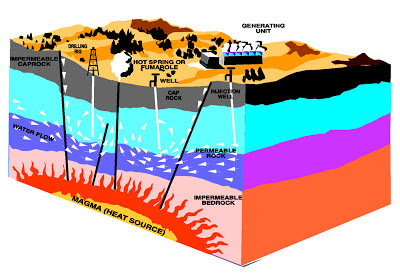 That’s because operating a geothermal heat pump can reduce heating costs by 50 to 70 percent. The durable pipe that is used for geothermal heat pumps can withstand up to 50 years of service with few or no repairs. Geothermal heat pumps also work efficiently, requiring only one kilowatt hour of electricity to produce 12,000 Btus of cooling or heating. A conventional heat pump would require more 2.2 kilowatt hours to produce the same amount of energy. Geothermal heat pumps are twice as efficient as the most energy efficient air conditioners and 50 percent more efficient than the “greenest” gas furnaces. Because geothermal heat pumps work by heating re-circulated water, they represent a renewable indoor temperature control device. There is no smoke or soot to pollute the air outside or contaminate the air indoors. 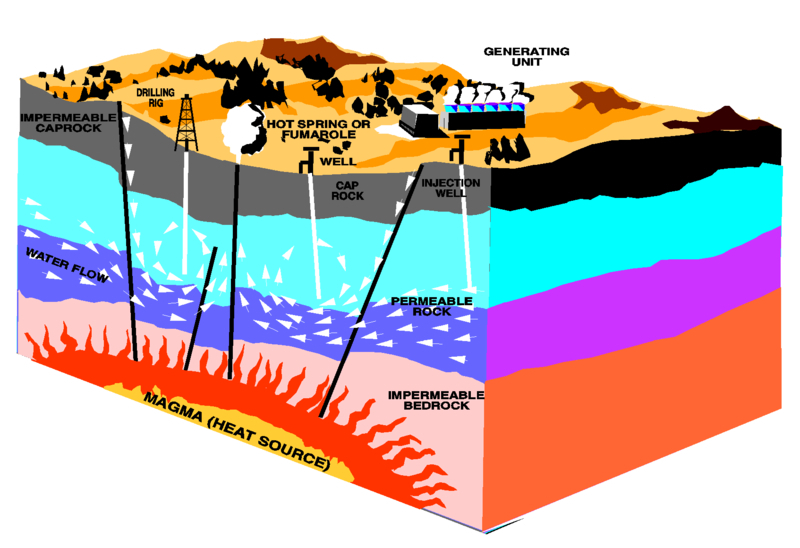 In addition, geothermal heat pumps operate quietly. There is no need for a large compressor or other noise generating elements. About the author: Natasha Risinger is a mom of four who is always looking for ways to save money. She is also an avid blogger and her articles mainly appear on money-saving blogs. To learn about power to choose in Houston, visit the link. I love your site, you give so many great tips especially since I use word press and the plug-in section of your blog is great.